Far Cry 5: What Can We Expect From The Epic Shooter? Far Cry 5 is one of the most anticipated video games of 2018, following on from previous releases in the iconic series. The Far Cry series is considered to contain some of the most innovative shooters in the history of gaming, and it will be intriguing to see what the next title in the series provides. Early impressions of Far Cry 5 is that the presentation of the game is hugely impressive. Ubisoft has apparently delivered a cinematic environment that enthrals players with its fast-paced narrative and action. Some analysts and reviewers were sceptical about the ability of the company to deliver a compelling open-world environment, but it seems that the software house has certainly assuaged these fears. Far Cry 5 will be one of the most graphically impressive games on any video games console, particularly when it is optimised by the PlayStation 4 Pro. The quality of graphics and animation have already been hugely praised ahead of the release of the game, and it seems that the developer may have a bit of a classic on its hands. Ubisoft has done an excellent job with the pacing of Far Cry titles, and this is expected to be a major strength of a Far Cry 5. Mission structure and progression will obviously be a key aspect of this title, and it will be interesting to see what Ubisoft delivers. While the Far Cry series has been characterized by an ever-changing environment, it is known that Far Cry 5 offers a great deal more than the physical environment. The developers have tweaked the winning Far Cry formula in several ways, particularly with regard to how players progress through the gameworld and improve their physical characters. Early exploration of Far Cry 5 indicates that the fictional Hope County, Montana is rich and vibrant. With the game hosting a religious militia called The Project at Eden’s Gate, the game promises to deliver both a huge amount of action and biting political satire. 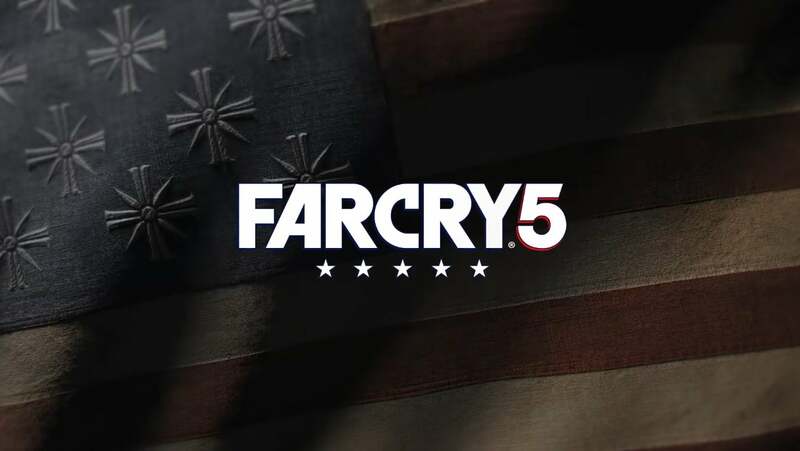 Early gameplay videos indicate that the title has its usual combination of varied gameplay, with the shooting, driving, swimming and explosive action all part of the Far Cry 5 formula. The buddy system included for the first time in Far Cry 2 has also been expanded significantly in Far Cry 5. It is possible to call upon computer-controlled characters at any time, with these NPGs offering special abilities that make your progress through the gameworld more fluid. Exploration of the gameworld will also be a highlight of Far Cry 5, with the map considered critical to navigate the title. The Radio tower from Far Cry 4 has been eliminated, with the developers emphasizing the importance of interacting with characters in order to access missions and side-quests. Gaining skills is also possible in the world of Far Cry 5, but Ubisoft has altered the way that this works in comparison to previous releases. Perks can be unlocked by the completion of challenges, while gamers will receive points that can then be spent on various abilities. Health and weapon slots are both made available by this approach, while a grappling hook is also a particular highlight of the system. Skinning wild animals in order to carry more guns has certainly been eliminated from this title, although animal skins can now be traded for weaponry, or just plain cash. While micro transactions play a part in the world of Far Cry 5, they are largely avoidable. A third currency can be collected within the game, and this can be purchased with real life money if one so desires. Certainly it is advantageous to do so, but the game also offers enough opportunities to accrue its virtual world currency. Most who have experienced it consider the setting of Far Cry 5 to be particularly beautiful and striking, while the streamlining of systems within the game has also attracted praise. The story and narrative of the game will also be of interest, with previous Far Cry titles having done an excellent job in this department. Ubisoft has filled something of a void with the release of Far Cry 5 on March 27, with other major developers having pushed some of their big games backwards. It is now strongly rumoured that The Last of Us 2 will not appear until 2019, while there is absolutely no sign of GTA 6 from Rockstar. Meanwhile, the developer has also delayed the publication of Red Dead Redemption 2, meaning that this massive Far Cry 5 release will certainly be welcomed by the gaming fraternity. With the first hour of the game already available in online videos, Far Cry 5 is hotly anticipated, and will no doubt be a huge success for Ubisoft later this month.